With affordable real estate, a zippy light rail connection to downtown and plenty of local character, PDX’s Southeast district is a popular choice for new families or anyone else who wants to experience the funky vibe that has made Portland real estate listings so popular across the nation. Located on the opposite bank of the Willamette River from Portland’s downtown core, Southeast is filled with old character homes, charming coffee shops, bookstores and everything else that has made “PDX” an iconic American place. There are also a variety of neighborhoods to suit every taste. Bordered by the Willamette River and by Sunnyside to the east, Buckman is famed in Southeast for its majestic Portland homes, eateries and craft beer scene. Schools in the neighborhood include Buckman Arts Magnet Elementary School (part of Portland Public Schools) and Central Catholic High School. Named one of the 24 best places to live and work in the western United States, Richmond is a residential neighborhood on the eastern side of Southeast. Richmond boasts dining on Southeast Division Street and livable, leafy neighborhoods, community gardens, bike lanes and public parks. Sometimes referred to as the Belmont neighborhood for its main commercial street, Sunnyside is known for its Victorian architecture and bohemian culture. Sunnyside is sometimes compared to San Francisco’s Haight Ashbury district. The neighborhood is perhaps most famous for being the home of the Bagdad Theatre, a movie palace built in 1927 by Universal Studios. The neighborhood’s identity is shaped by young, liberal residents, pedestrian-friendly, high-density mixed-use development and stately character homes. One of Portland’s original planned neighborhoods, Laurelhurst is known for its stately character, gently curving streets, and a beautiful park at the very center of the community. Unlike many other neighborhoods in Portland, Laurelhurst is not mixed-use — there are no breweries or coffee shops here. Instead, the neighborhood is completely residential, making Laurelhurst its own separate world in PDX. While other parts of Portland have coffee shops, breweries and bookstores, Mt. Tabor has probably one of the most unique attractions of any neighborhood in America: its own extinct volcano. Mt. Tabor gets its name from a 600-foot high cinder cone in the heart of the neighborhood. A 196-acre park preserves the slopes of the cinder cone for hiking and outdoor recreation, and the rim of the dormant caldera provides awesome views of Portland below. At the foot of the extinct volcano’s forested slopes lie streets lined with character homes, detached single-family homes, and a vibrant commercial area with restaurants and shops. Overlooking the Willamette River in Southeast Portland, Sellwood’s parks, shopping, restaurants, public transit, libraries, supermarkets, movie theaters, and, of course, coffee shops, make it ideal for families or anyone looking to start a life in PDX. Sidewalks make for safe, walkable, pedestrian-friendly streets. Originally planned and developed in the early-Twentieth century, East Moreland is a tree-filled neighborhood in Southeast Portland known for its quiet, leafy streets and a variety of architectural styles. The neighborhood is served by the Portland-Milwaukie Light Rail line (Orange Line) which travels from Portland State University in downtown Portland, through South Waterfront and over the river, traveling through East Moreland on its way to Milwaukie. This leading science museum’s five gigantic exhibition halls bring science to life with hundreds of interactive exhibits and displays. Experience an earthquake, take part in live lab demonstrations, watch on a giant 4-story screen, explore the universe in a planetarium and even tour a real submarine. Frequently recognized as one of the most beautiful parks in the Pacific Northwest, this carefully manicured city park is great for picnics, family gatherings or just taking a stroll. A large, shallow lake makes up the heart of this park, and is a good place to go birdwatching in spring and fall. An extinct volcano offering commanding views of Portland, Mt. Tabor’s Douglas fir groves and sword ferns make for a spectacular afternoon outing of hiking, mountain biking or just taking a walk. The Department of Catholic Schools (DCS) is home to 15,000 students and 1,300 teachers, and provides the community with many options for education. The DCS school finder can help find schools in this part of Portland. There are 69 private or independent schools in Portland offering specialized curriculum and academic programs. Portland Monthly’s annual private schools guide provides a detailed analysis of these schools. 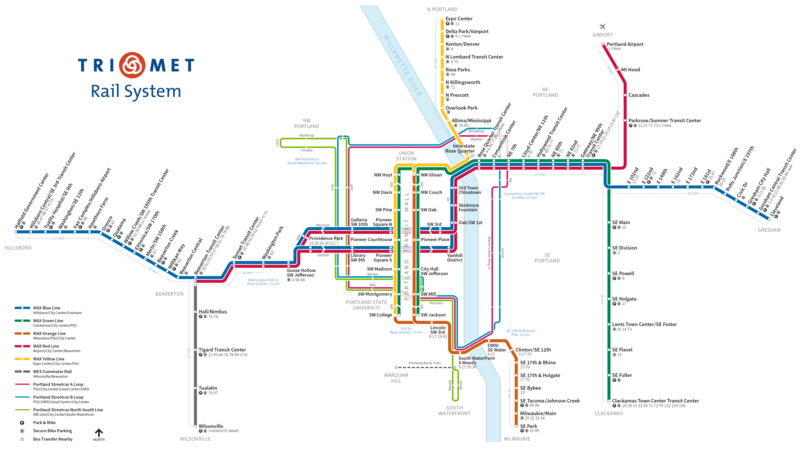 The MAX light rail system provides easy access to many parts of the city for people living in Southeast Portland. Southeast Portland is served by the MAX Green Line. Major arteries in Southeast Portland include the I-205, which provides good north-south transportation options, while Highway 26 runs east-west through the district.